Most people think the best BBQ can only be found in Texas. But with three generations of crafting award-winning recipes and creating authentic flavors Kinder’s BBQ, located in SF Bay Area, rivals any other BBQ joint. They came to h2 Media Labs to build their on-site catering website, manage their Adwords accounts and consult on Social Media. 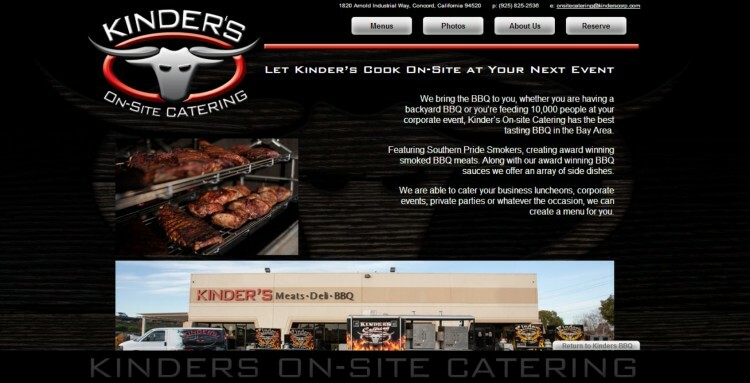 On going we support all website needs and manage their Google Adwords accounts for Kinder’s Meats, Kinder’s BBQ and Kinder’s Catering, amplifying their voice and expanding their online presence.